Not a day goes by that we don't feel the magnitude of his scientific achievements, but few know the tumultuous private life of the 20th century's most brilliant icon, Albert Einstein. National Geographic's Emmy-nominated series explores the science behind his greatest breakthroughs along with his volatile, passionate, and complex personal relationships. 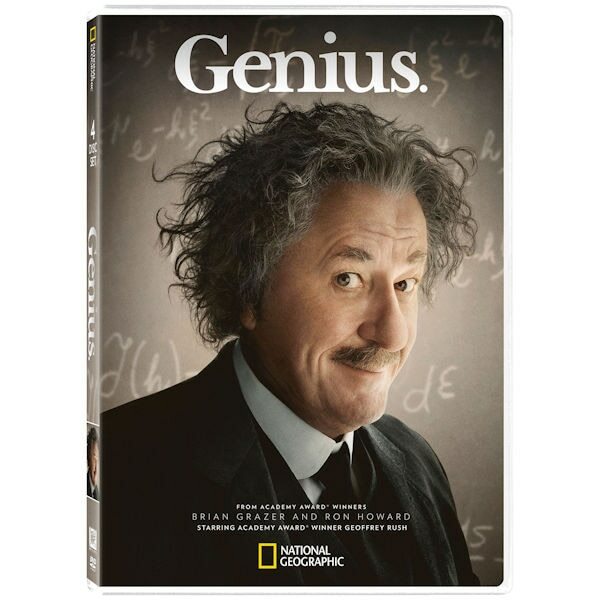 Oscar® winner Geoffrey Rush (Shine, The King's Speech) stars as the elder Einstein. 10 episodes, 8 hrs, 4 DVDs. Mature content. Episode 1: As Antisemitism reaches a fever pitch in 1930s Germany, physicist Albert Einstein finds himself forced to choose between emigrating to the United States or staying in solidarity with his fellow academics. The struggle evokes memories of his days as a student at Zürich Polytechnic and his first encounter with Mileva Mari&cacute;, the woman who would become his first wife. Episode 2: After butting heads with Mileva Mari&cacute;, the only female student in his class at Zürich Polytechnic, a young Albert Einstein falls in love with this determined fellow student. While the passionate affair fans the flames of their mutual curiosity and love of science, their reckless abandon doesn't go unnoticed by Einstein's strict physics lecturer, Professor Weber. Episode 3: As a recent university graduate, Albert Einstein struggles to make ends meet while trying to land an academic post in a scientific world rigid with tradition and protocol. After finally securing various tutoring jobs, he moves one step closer to being able to provide for his pregnant wife, Mileva, when tragedy strikes. Episode 4: While working at his day job at the Bern patent office, Albert Einstein burns the candle at both ends supported by his new wife, writing four new scientific papers including the theory of special relativity, in what will be considered his miracle year. One of his papers attracts the attention of the notable theoretical physicist Max Planck. Episode 5: With new teaching duties, Albert Einstein finally begins to experience the academic life he long coveted as he develops his theory of general relativity. Enjoying his first taste of acclaim among the most renowned scientific minds in Europe including Marie Curie, Einstein falters in his familial responsibilities. His only relief comes from a visit to extended family, where he is introduced to his cousin Elsa. Episode 6: After moving his family to Berlin for work, and to be closer to his new love Elsa, Albert Einstein sets out to prove his theory of general relativity. He enlists the help of an astronomer to photograph a solar eclipse in Russia, but the expedition goes awry. Einstein's affair becomes less secret, and Elsa forces an ultimatum: divorce Mileva or lose her forever. Episode 7: Exhausted and worn out, Albert Einstein's attempt to make scientific history is put to the test as he begins to experience health issues. Meanwhile, sweeping patriotism in the wake of the war has corrupted one of his closest friends, Fritz Haber, pitting them against each other. In the German war effort, Albert is the lone scientist to refuse the call to arms. Episode 8: Attempting to flee to the United States, Albert Einstein and his wife Elsa find that their visas have been blocked for entry by the U.S. State Department because Einstein's politics placed him on the radar of FBI director J. Edgar Hoover. Just days before his departure, Einstein must convince the U.S Consul in Germany that he is no threat to the country. Episode 9: Albert Einstein and Elsa settle into the U.S. while trying to save those he left behind. Although quantum physics continues to vex him, his focus is diverted by the splitting of the atom in Nazi Germany. When tragedy strikes, Einstein seeks comfort in the arms of a Russian woman whose intentions are unclear. Episode 10: After the atomic bomb is dropped and World War II ends, Albert Einstein assumes the role of world citizen in his elder years. 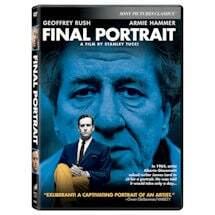 Having been linked to nuclear weapons, he drowns in guilt and refocuses his efforts to prevent further wars. Inspiration strikes when a young neighbor asks him for homework help, reminding him of the joy that science once brought.